Towards a Transworld future where we move freely between physical, augmented & virtual realities. The one-two punch of Facebook's $2 billion acquisition of Oculus Rift and High Fidelity's $2.5 million in new funding made me rethink the post I was writing on the future of virtual worlds. A week ago I was skeptical about the odds of virtual worlds gaining mainstream traction in the near future. Today I'm feeling more optimistic. Not because I believe that new VR hardware will catapult existing virtual worlds beyond their current markets. But because the inevitable investment feeding frenzy will fund new hardware and software platforms that will extend the VR medium into social networking, shopping, entertainment and other mainstream activities. Virtual reality is a natural extension of the second-screen phenomenon. Today, we watch news and television together in the shared psychological space of social networks. Tomorrow, we'll be watching together in the shared physical space of virtual reality. Today we shop online and imagine what our purchases will look like in our homes. Tomorrow, we'll preview 3D printable goods in our virtual homes and try new clothes on our avatars. These kinds of scenarios have the potential to make virtual reality a medium people use in the normal course of personal and business life. I look forward to a transworld future where people move freely between physical, augmented and virtual realities, jumping between PCs, consoles, tablets, smartphones, smartwatches, AR glasses and VR goggles. I'm not sure where proprietary virtual worlds will fit into the picture as the medium matures and begins to develop interoperable standards. As for Second Life, Linden Lab is going to have to get their act together to meet challenges from a plethora of well-funded competitors who aren't tied to a ten year old platform and the associated technical debt. I have no idea if this is related, or even real. But here's a perception. I saw an atomic world TV commercial the other day. The "dad" in the commercial was a "mouse." And I thought "how freakin' odd." And then I thought, is SL (because it's my "home" virtual world") influencing the atomic world so strongly, that the atomic world simply references the main tenents of SL -- identity bending, etc -- as opposed to driving people to log in? And isn't it really kind of cool that the atomic world is "opening up" some of its boxes? Did SL facilitate that? Or did the atomic world influence SL? Or is there no relationship there at all? If there's a backstory to the Dad as a Mouse in the atomic world commercial, I'm not at all aware of it. I just thought wow...we're really challenging our ideas on identity in all worlds. There are too many times where I've looked at things in the atomic world and thought oh my gosh, the advertiser, the creative director, the fashion designer, the this-or-that HAS to have a SL account! I just really sense it. Or maybe I've been inworld such a long time now that all these things are just normal to me...not such "purple cows" as they once might have been. Still, I can't help but believe that more and more conventions are being challenged in the atomic world. And I just can't help but feel that somehow in some way virtual worlds have made an impact...even if a small one. michele: It's quite likely that some of the million plus people who have spent some time in Second Life over the year are in the entertainment industry and have been influenced by their experience. My approach to creating marketing materials for my job, and the writing I do on technology in my RL identity are influenced by my time in Second Life and my ongoing virtual identity. 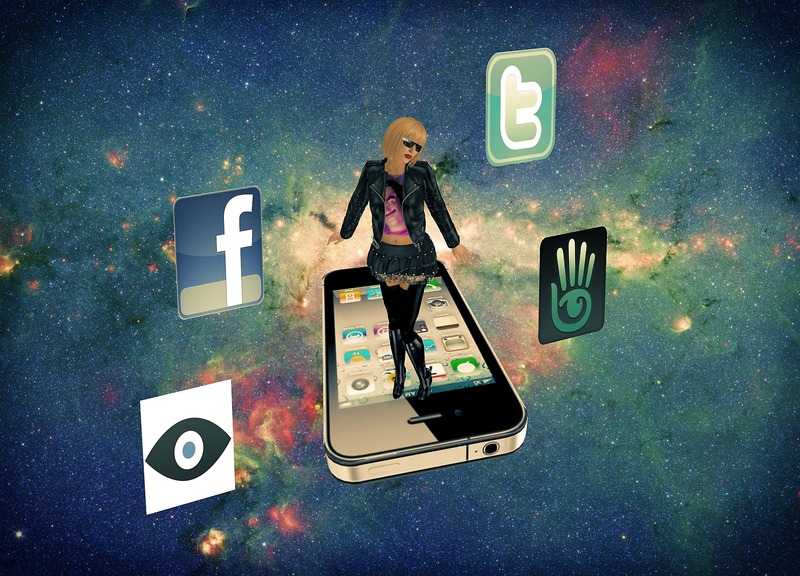 Botgirl, many things are cyclic and I think “virtual worlds” (or whatever the new buzz word will be) is one of them. Instead of a constantly increasing graph, you end up with a step function. 1. New forms of visualization. Oculus Rift is a good example. Faster mobile graphics is another. WebGL has mostly arrived for the browser. 2. People are getting bored with “social”. Or, at least, “social” is just an attribute of something new, not the primary focus. Also, the long hanging fruit in “social” has mostly been picked by startups meaning the money will chase other things. 3. Virtual currencies. SL led here and I don’t think enough credit is given to it for SL’s success. Now we have people focused on just this. Bitcoin has brought it to the real world and there may be others. 4. Mixed RL/Virtual where RL views are overlaid with virtual content are maturing. How much longer until you can look through your iPad at your living room and see your virtual friends standing there? What about bringing your home (via something like Google Tango) into the Virtual world? 5. Bringing Virtual to RL. Do you know how hard it is to 3D print something from SL. Not very, considering there has been no focus in doing it. The real world is a big market for virtual content creators. But to be clear, I’m not saying “virtual worlds” will finally arrive (or that that is the right term since I see some blurring of the lines) just that we’ll see another step forward. That will at least make the existing users happy … and probably add a bunch more users too. Mark: I agree that there seems to be a confluence of emerging changes that could give virtual worlds another crack at a wider audience and revitalize them for current users.